Joe Sonny West on-stage November 1st at the Ubangi Stomp Festival which is held each year in Benidorm, Spain in the ballroom of the Gran Bali Hotel. The town is a hot vacation spot located on the Mediterranean Sea. 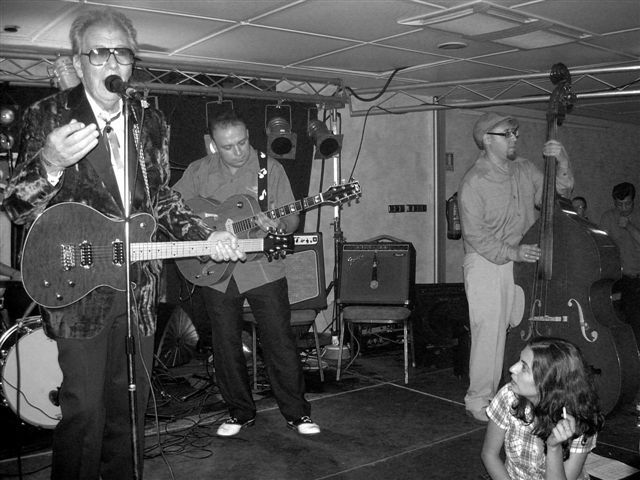 Sonny, looking cool with his stage jacket and shades, is playing his Silverton Fastback guitar and being backed by Uncle Charlie’s band. 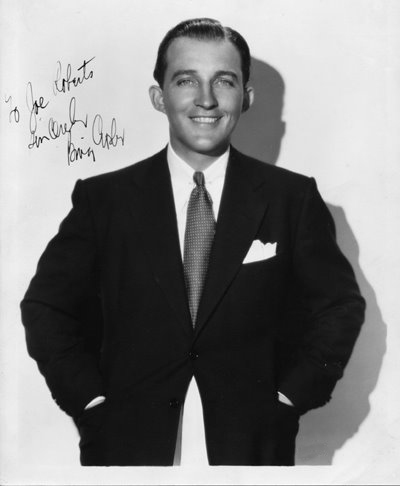 Sonny received a BMI Songwriter Award for “Oh Boy.” This prestigious award is presented by Broadcast Music Incorporated when a song receives one million airplays. “All my love, all my kissin’, you don’t know what you’ve been missin’, Oh Boy, when you’re with me, Oh Boy, I want the world to see, that you were meant for me.” Recorded in Clovis, NM at Norman Petty’ Studios by The Crickets and then released as a 45 RPM record on the Brunswick label # 55035 the song climbed to #13 on the Cash Box Singles Charts on 11-16-57 and on 11-25-57 reached #10 in Billboard staying around for 20 weeks. “Oh Boy” continues today being one of Buddy Holly’s most requested and popular songs. Every time it’s played on the radio or on national TV…Sonny receives a royalty check. Sonny lives in Abilene, Texas. When you have song-writing talents like Ray Evans and Jay Livingston you never have to work a day in your life. 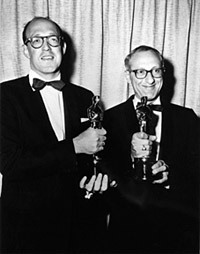 This song-writing team won three Academy Awards in 1948 for “Buttons And Bows” from the movie The Paleface with Bob Hope. In 1946 the #1 hit “To Each His Own.” In 1950 they wrote “Mona Lisa” for Nat King Cole. In 1956 “Que Sera Sera” for Doris Day. In 1957 the all-time top song from West Texas “Tammy” recorded by Debbie Reynolds. The Christmas standard “Silver Bells.” TV theme songs for Bonanza and Mr. Ed. “Dear Heart” for the 1964 film. Ray Evans died February 15, 2007 he was 92. Jay Livingston studied piano and played local clubs while in high school meeting Ray organizing a dance band. He died October 17, 2001. After writing “Silver Bells” they became known as the Jews who wrote Christmas songs. 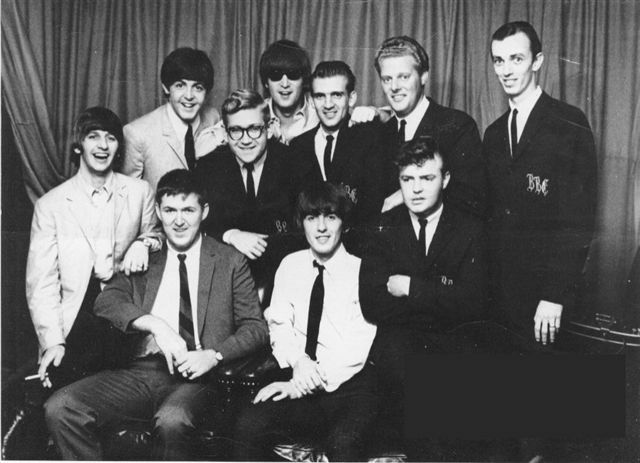 Ray’s brother Alan is best known for signing The Beatles to Capital Records. Interesting to note they wrote the song “Alley Oop” that kept Roy Orbison’s “Only The Lonely” out of the #1 position in 1961. 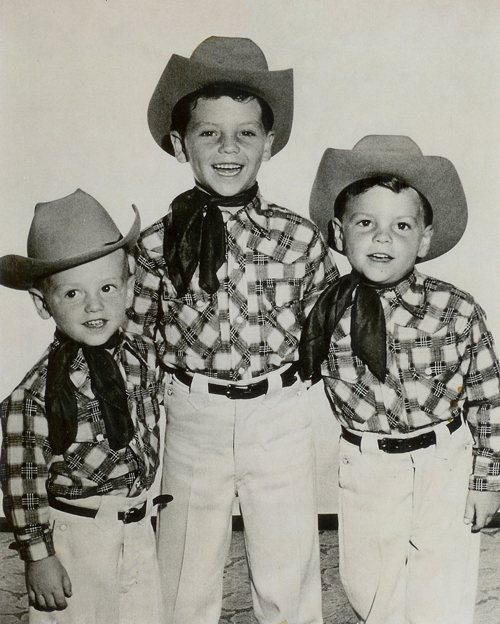 An original photo of The Gatlin Brothers as they appeared on The Slim Willet Show in 1955 on KRBC TV Abilene, Texas. Rudy (3) Larry (7) Steve (5). 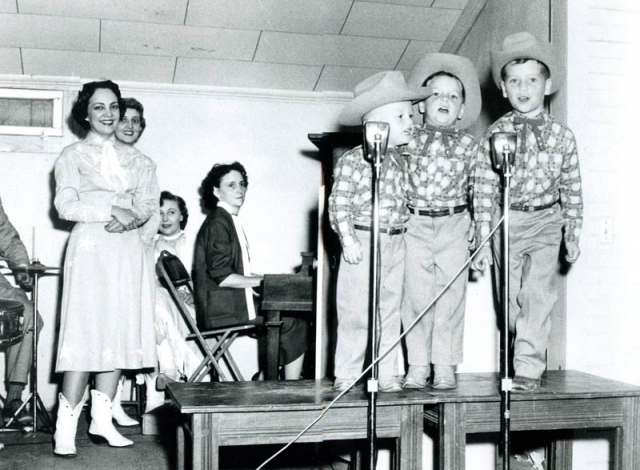 They performed gospel and country songs and later had their own TV show in Abilene. In his senior year at Odessa High Larry (quarterback) led the Broncos football team to a district title. Larry enrolled at the University of Houston on a football scholarship where he majored in English. From 1973 to 1990 Larry would chart 42 times with Larry writing each and every song. Larry Gatlin recorded under various names such as Larry Gatlin with Family & Friends, Larry Gatlin & The Gatlin Brothers Band, Larry Gatlin & The Gatlin Brothers and Larry, Steve, Rudy: The Gatlin Brothers. 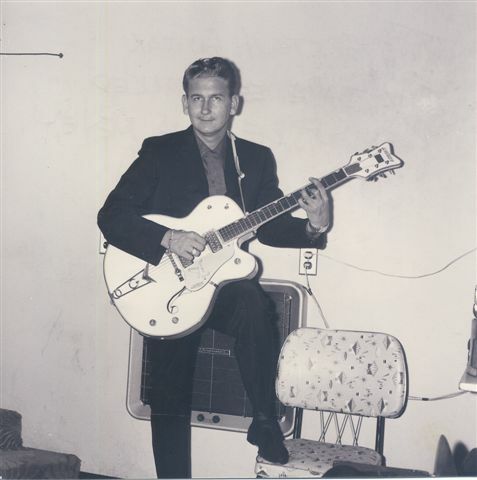 Back in the 50s Larry & his brothers entered a local talent contest in West Texas where they first met Roy Orbison who also had entered. In 1989 Larry recorded a duet with Roy Orbison entitled “Indian Summer.” After winning numerous awards such as CMA Single of the Year, Album of the Year and a Grammy they began touring. They have performed at the Whitehouse for 3 different presidents. Larry has led a charmed life having the best of all worlds with talent, looks, family, friends, fans, wealth, awards and good health. Larry’s biggest hit was “Houston” from 1983. Larry and his brothers continue to perform in 2012. 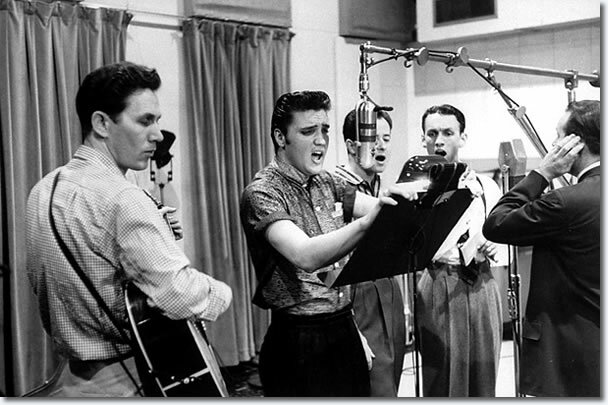 RCA producer Chet Atkins (left) playing rhythm guitar behind Elvis in 1956. 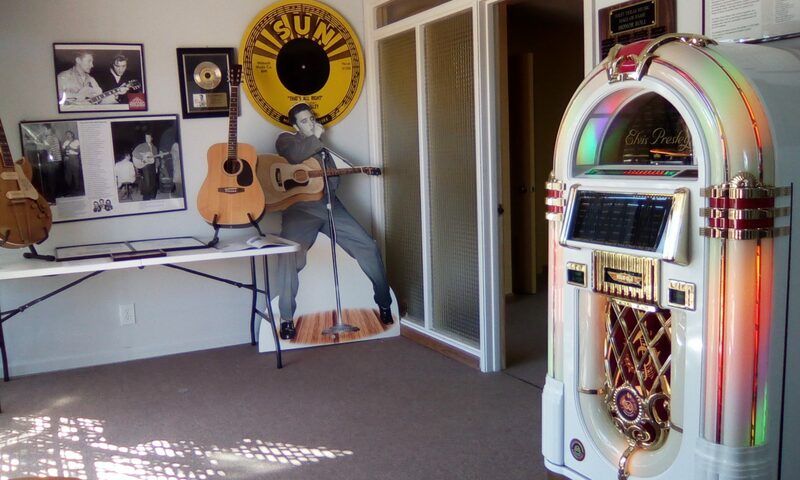 Although Elvis brightened millions of lives with his numerous hit recordings the producers at RCA dropped the ball numerous times in the early 60s. Below is a list of sub-par arrangements/recordings/vocal performances and bad decisions by RCA and Elvis that other artists took full advantage of. Ral Donner took “Girl Of My Best Friend” to #19 (first recorded by Elvis April 3rd 1960 and released on the “Elvis Is Back” LP). With a better studio mix and production RCA and Elvis had a potential Top 10 hit. Listen to YouTube below and hear an Elvis sound-alike slightly out perform the real Elvis by singing with more feeling. “Suspicion” recorded by Elvis on 3-19-62 in which the master tape was later spliced from different takes. First released on the Pot Luck LP June 1962. Terry Stafford from Amarillo, Texas recorded “Suspicion” for the Crusader label. Bob Summers produced, recorded and played all the instruments on the record. Song was a potential #1 but ran into The Beatles who were holding down the Top 5 at the time. Song eventually reached #3 RIAA Certified Gold in 1964. 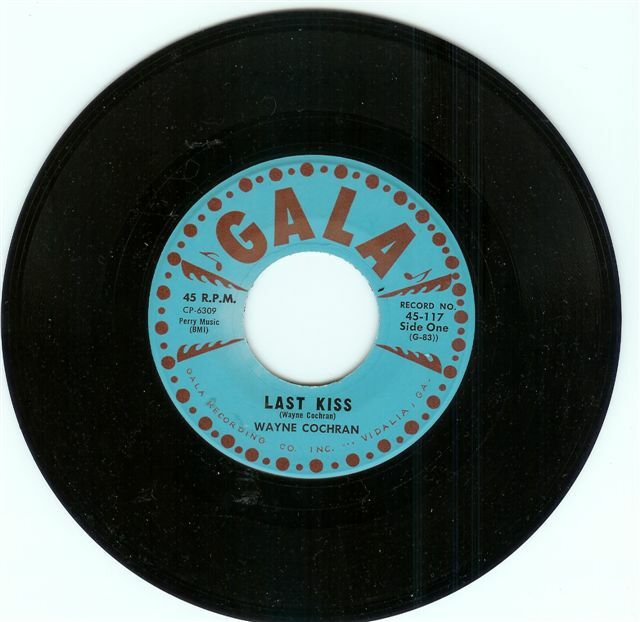 RCA then rush-released Elvis’ version on a 45 that reached #103. “Wooden Heart” English version of a German folk song by Elvis from his G.I. Blues movie became a #1 hit in the UK in March of 1961. RCA refused to release it in the U.S. fearing it would harm his image. Joe Dowell rushed to record it for Mercury Records (Smash) having to learn the lyrics in just a few hours taking it to #1 in the U.S. in June 1961. Elvis (Gladys Music) had the publishing rights. “Always On My Mind” by Elvis ended up on the B-side of “Separate Ways” that reached #20 in 1972. In 1982 Willie Nelson recorded the song taking it to #1 in Country, #5 in Pop, RIAA Certified Platinum, Grammy Song of the Year, CMA Song of the Year in 1982 & 1983, CMA Single of the Year, Grammy Best Country Song & Grammy Best Male Country Vocal Performance. A few days ago, my husband, Charlie Dalton, received his Official n World Record Certificate for being one of the 1867 Guitar Pickers who met at Luckenbach, Texas on August 23, 2009. They joined together under the trees to help raise money for “The Welcome Home Project”, a nonprofit organization that puts out albums to raise awareness about veteran issues and uses music to help injured Vets recover while finding a creative outlet for them (if you were there and would like a certificate,go to their website thewelcomehomeproject.org). The Guinness World Record Officials were on hand in Luckenbach as Charlie and 1866 other Guitar Pickers joined together and played in unison, “Luckenbach Texas” and “This Land Is Your Land” (written by a West Texan, Woody Guthrie) for 5 minutes each to break the world record. The previous record was 1,803 held by Germany. I guess you could say, America has another Gold Medal, of which we are very proud. It all was for a good cause. The West Texas Music Hall Of Fame even has an official guitar signed by a lot of the pickers. This was also a very patriotic event. Charlie wrote and sang the song, “The Old Man In His Tennis Shoes” . Charlie’s 90 year old uncle is the star in this video. The music recording session was done at Patrick McGuire’s Studio in Arlington with Buddy O’Bannon’s help on the guitar. The video was all filmed exclusively in San Angelo, Texas. You will see the park on the Concho River, West Texas railroad tracks, and the familiar “Twin Mountains”. Charlie used an old Martin guitar that he borrowed from Lewis Elliott. The dancing scenes were at the VFW while Snake Atkinson and The Country Showmen band were playing. Let us know if you see any more youtube videos that have West Texas connections.